Nintendo's kid-friendly multiplayer shooter Splatoon has been making a splash (sorry) in the wider gaming world ever since its release, thanks to an engaging mix of bright, colorful design and fresh gameplay ideas. We're never going to see the full Splatoon on Android (even when Nintendo does get around to making mobile games), but if you'd like something with a similar feel, give Splash Cars a try. 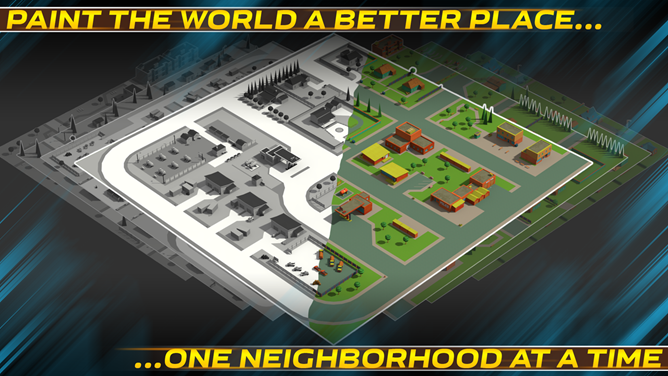 It hits a lot of the same notes in a single-player mobile package. In Splash Cars, you drive around an isomeric city in a car that inexplicably leaves paint in its wake. It's what would happen if a NASCAR driver decided to change jobs and drive one of those stripe-painting trucks that the road crews use. 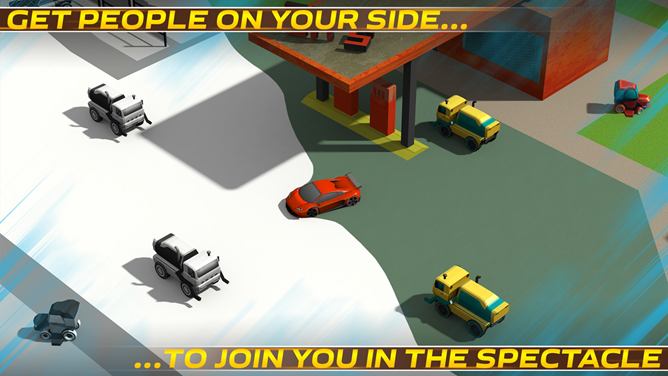 In each stage the objective is to paint as much of the road and buildings as you can before your gas runs out, grabbing extra cans of fuel to extend your time and dodging the cops along the way. 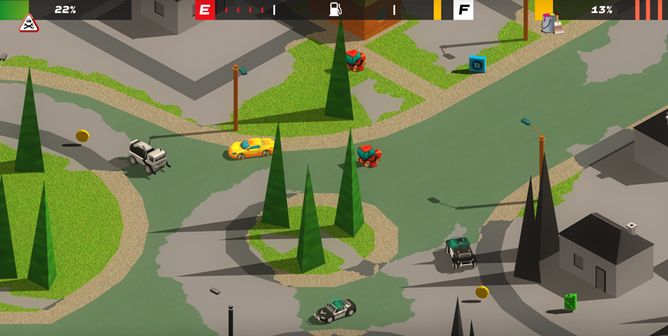 The top-down interface needs only left and right buttons to steer (the game's generous physics engine makes sure you're never really stuck), and the scoring system uses the familiar three-star setup. 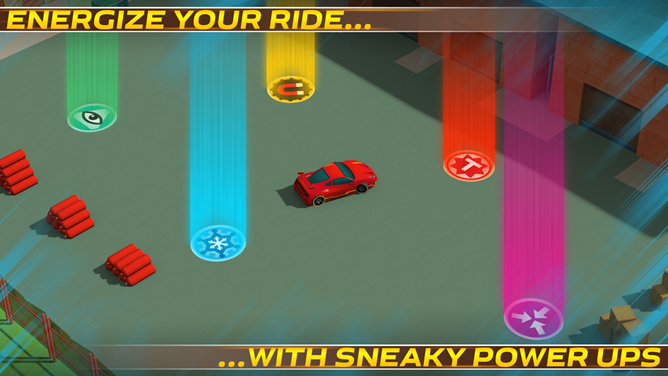 Splash Cars is free-to-play, and the in-app currency is used to buy new cars and power-ups. But thanks to the low-pressure setup, it doesn't feel like you're being pushed into spending real money, and even the smallest coin bundle will strip away advertising as well. It doesn't hurt that developer Craneballs caps the IAP at less than $20, avoiding the tacit implication that anyone should spend a hundred bucks on fake money for a mobile game. It's available on phones and tablets, but unfortunately the game doesn't work on Android TV.